5464 Nature Ln, Virginia Beach, VA 23455 (#10245567) :: Abbitt Realty Co. Welcome to award winning SAJO FARMS community! 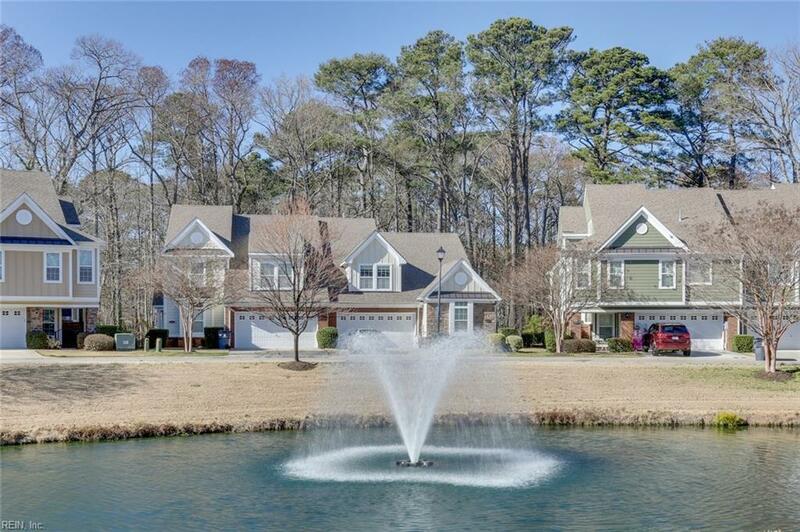 Enjoy this amazing lifestyle community with pool, furnished clubhouse, gym, indoor/outdoor fireplaces, 5 ponds with fountains, playground, trails throughout the community and English Knot Garden., Kayak launch through the gated access into Lake Lawson/Lake Smith. 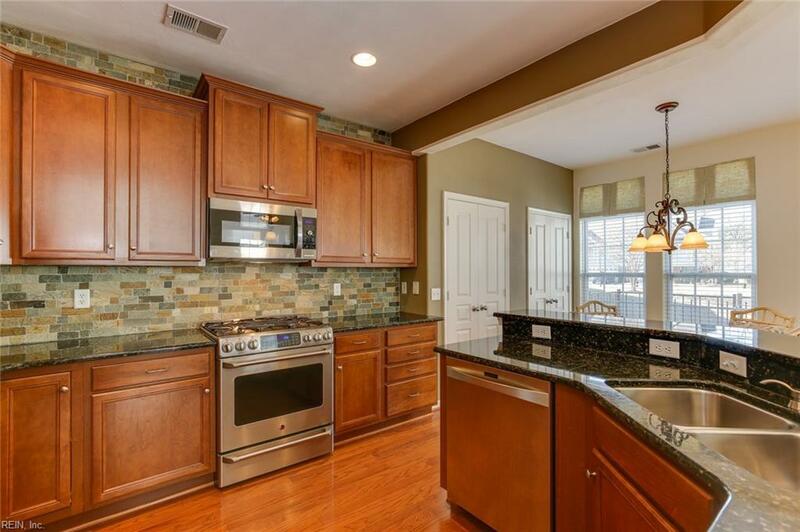 GORGEOUS 2 story Condominium with bright and open floor plan concept with vaulted ceilings, custom light fixtures, beautiful hardwood floors, gourmet eat in kitchen with stainless steel appliances, granite countertops and stone backsplash. First floor master suite with two additional bedrooms and full bath on upper level. HUGE floored walk-in attic (could be finished 4th. bedroom). 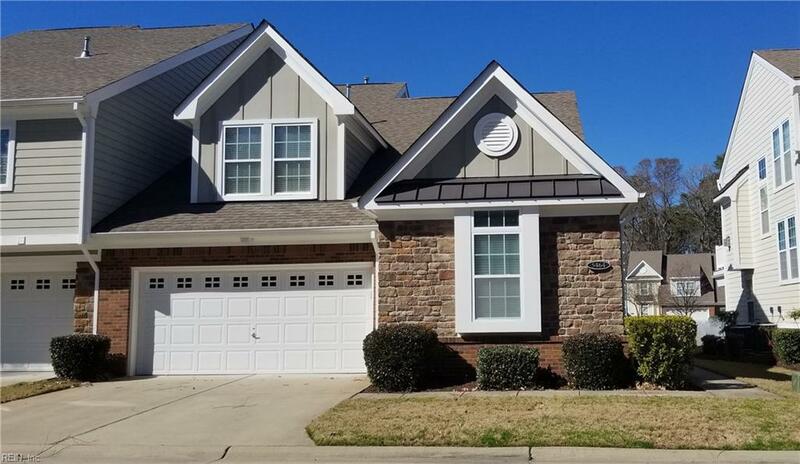 Two story family room with gas fireplace, hardwood floors under new carpet leading to large screen porch overlooking pond and center fountain! Spacious 2 car garage end unit. 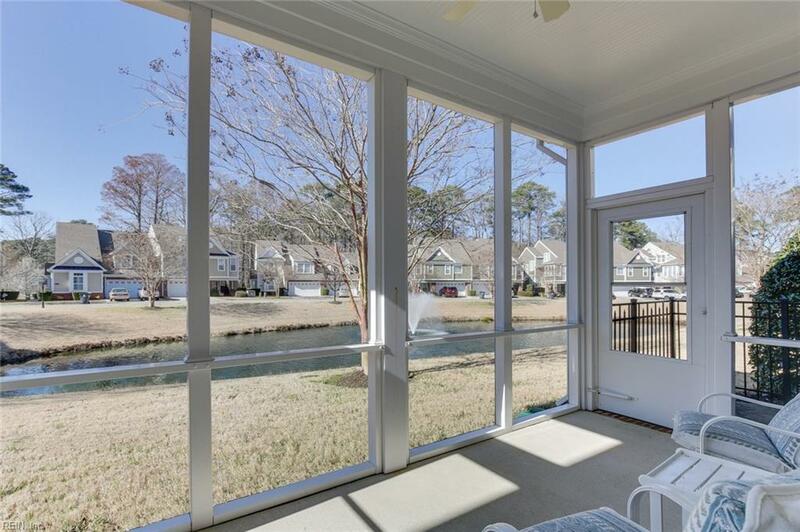 Conveniently located to new Premium Outlets, VB Town Center, beaches, interstates and bases. IMMACULATE CONDITION~A MUST SEE!